Verywestham: We are off to Europe!!! 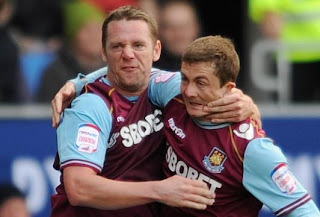 On the eve of West Ham’s first International fixture of the season, a mouth watering top of the table clash with Swansea, renowned sports psychologist Dr Mark Clichedbore has revealed how he sat down with Big Sam at the start of the Summer and hatched out the perfect plan to achieve our goal of premiership survival this season. “It’s deliciously simple stuff - if the Hammers can manage to avoid conceding any goals all season then they only need one opposition team to score a single own goal in order to achieve the 40 points that should guarantee Premiership survival”. Top maths boffins have confirmed that this is in fact totally and absolutely correct. 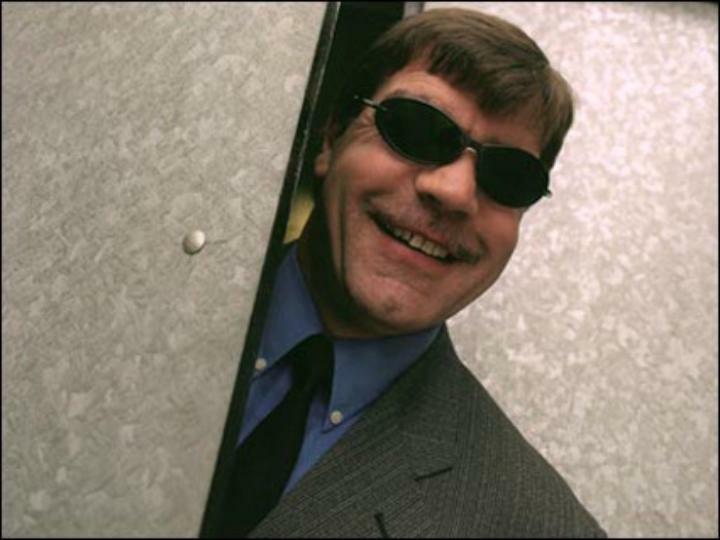 As a consequence, Big Sam has trawled far and wide for supersized-uberflexy players who can obscure entry to our goal and prevent incursions by opposing teams. 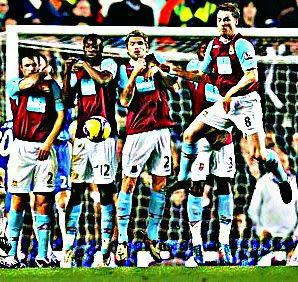 It’s also been rumoured that Sam is secretly delighted with the few extra pounds that Captain Kevin Nolan has gained over the Summer recess as these will be pretty useful for blocking off some gaps towards the bottom left corner of our goal. 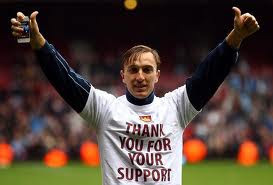 Dr Clichedbore emphasised that supporters who want to see a return to the so-called West ham 'way' of free flowing atistic footie are simply being unrealistic – ‘it’s all about putting points on the board, the football can come later’. He also labelled midfield maestro Mark Noble a potential liability due to his creative playmaking activities. 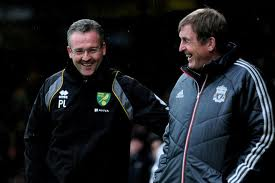 “Mark has simply got to grow up and stop flouncing about midfield. First season back it’s all about survival - by any means necessary”. Noble: milking it, as usual! He was delighted with the demolition of Aston Villa as this means that with 3 points in the bag from a single game the team can focus on making sure they don’t concede a goal. “Big Sam felt that we could do a job on Villa and the filleting they received on Saturday certainly justified his risky decision to allow some members of the team to attack the Villa goal”. Meanwhile, Villa boss Paul Lambert, speaking through an interpreter, has hit out angrily at suggestions that Darren Bent is employed on an innovative £20,000 per touch of the ball contract. “People are saying that Darren didn’t touch the ball in the second half against West ham but it bounced off his thigh twice and that must surely count for something?”. Experts expect Swansea to try to close up shop for tomorrow’s clash. Having watched videos of their close neighbours at Cardiff City being eviscerated by the Hammers during their last foreign trip to Wales, manager Brian Laudrup, without the aid of an interpreter, indicated that he plans to adopt a conservative formation in order to try and quell the swashbuckling East Londoners. Meanwhile, travel experts are predicting chaos in the skies as Hammers fans invade International airports trying to find ways to get to the fixture. “I don’t care if I have to go via Ulaan Baatar, I am going to be there” said long-time Hammer, Tony Browntree.